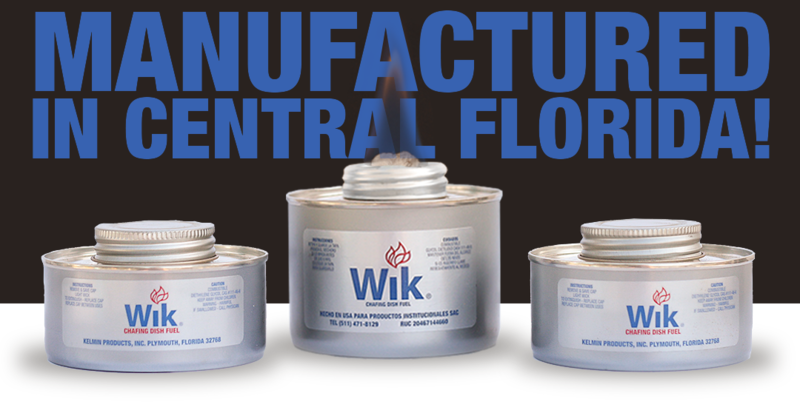 Chafing Dish Fuel | Wik | Kelmin Products Inc.
Kelmin Products, Inc. is a family owned and operated business in Central Florida since 1991! We are the leading manufacturer of chafing dish fuel (hot pot fuel) with a wick. 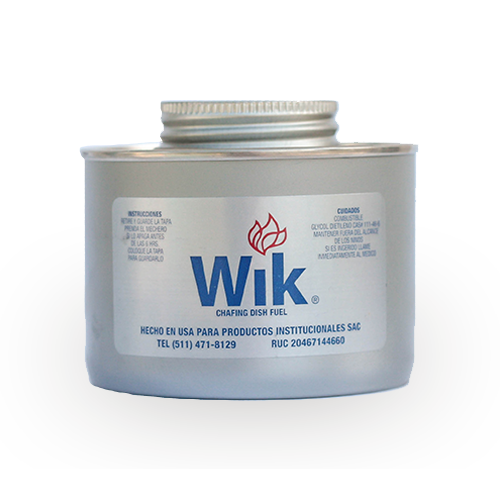 WIK, our brand name, uses diethylene glycol for fuel. Our chafing fuel is used for chafing dishes, buffet heaters, cookers, camping, emergency heat, cooking and warming. Our wicked product has significant performance, economic and safety advantages over jellied alcohol products like Sterno. 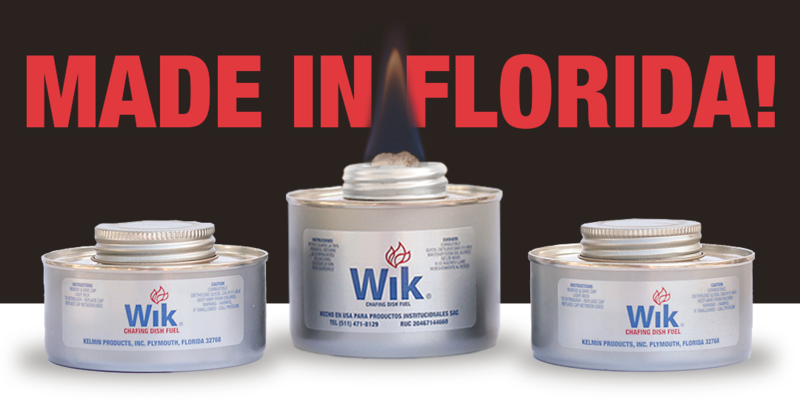 Welcome to the home of Wik chafing dish fuel! 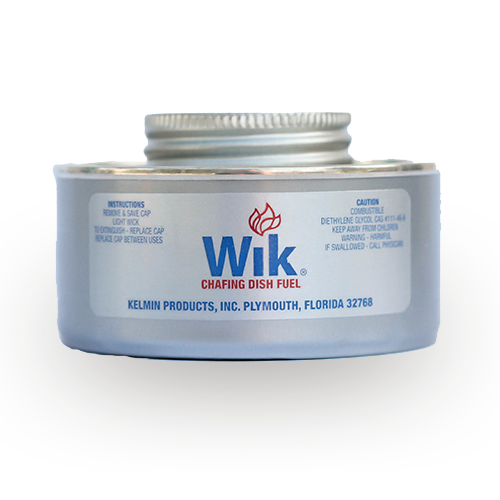 Kelmin Products, Inc. is a family owned and operated business in Central Florida since 1991! We are the leading manufacturer of chafing dish fuel (hot pot fuel) with a wick. 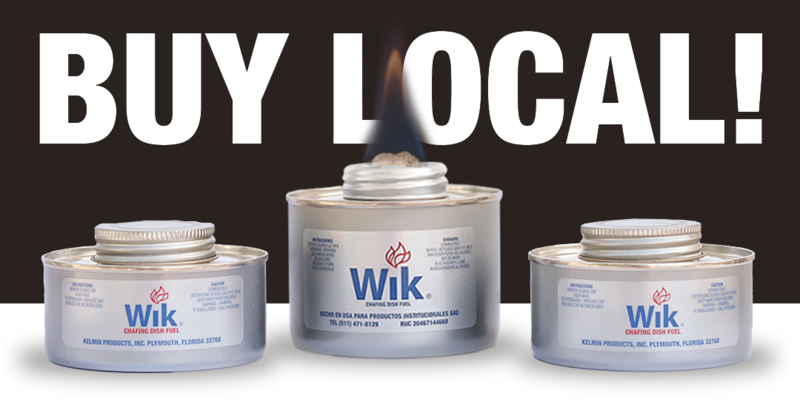 Wik, our brand name, uses diethylene glycol for fuel. 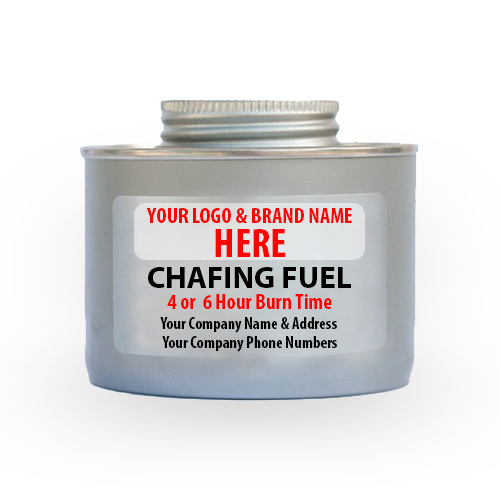 Our chafing fuel is used for chafing dishes, buffet heaters, cookers, camping, emergency heat, cooking and warming. Our wicked product has significant performance, economic and safety advantages over jellied alcohol products like Sterno. Our most economical product! When your event is going to be all day, the 6-Hour can is for you. Better yet, if you know you have a weekend full of caterings that’ll last 3 hours, reuse this can for multiple events to help with your carbon footprint. When you know you have a 4 hour event or you need something a little more compact, this is the product for you. 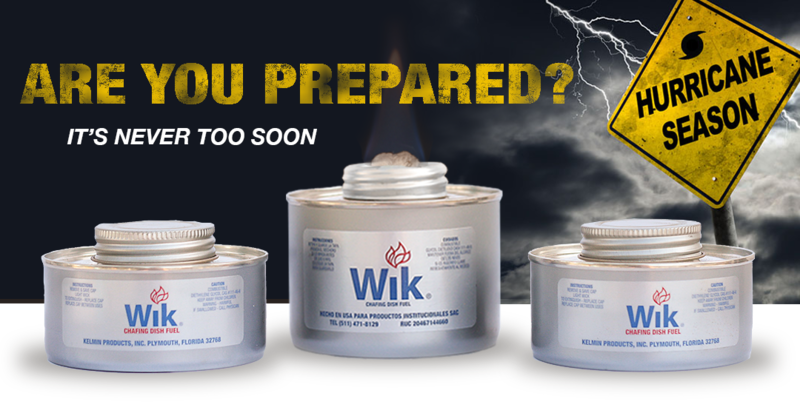 Only need 4-hours of fuel, but want to keep the flame close to the chafer for maximum heat transfer? This ones for you! Available only at Kelmin Products! At Kelmin Products Inc. we know it is ultimately about the client. That is why we offer custom labeling that will show your business the exact way you want it. Would you like to leave your own review of Kelmin Products, Inc.? Visitors Have Been To Our Site!